Aereo is dead, long live television disruption. The U.S. Supreme Court ruled on Wednesday that the streaming startup backed by entertainment mogul Barry Diller violates copyright law. Legal loopholes abound, however, and investors and viewers will still reward those who find ways to exploit them. The likes of broadcasters CBS and Disney-owned ABC can’t afford to waste time celebrating. 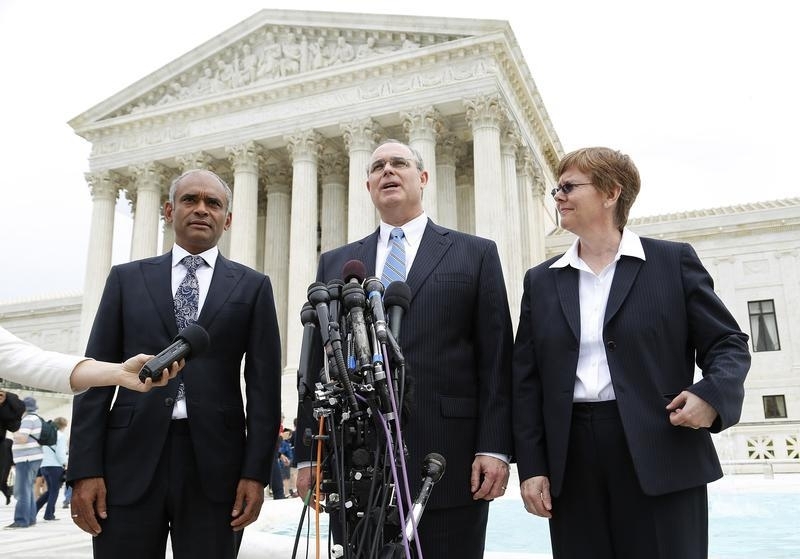 The justices decided Aereo was too clever by half. The 1976 Copyright Act protects the exclusive right of creators to perform their works publicly. Cable operators, for example, must therefore pay for TV programming before transmitting it to the public. Aereo leased a dime-sized antenna to each viewer, arguing no payment was necessary because, like any antenna, it merely allowed individuals to pull signals from the air for free and watch them over the internet. The court said it was a distinction without a difference. The narrow opinion explicitly exempts the likes of delayed TV transmissions and shows bought and then stored remotely. That means both digital video recorders and the so-called cloud are probably safe. The implicit message is that workarounds designed merely to skirt copyrights, much like tax shelters lacking economic substance, are illegal. That leaves ample leeway. The court itself acknowledged that what it means to perform a work, what constitutes the public and when a permissibly “fair use” of a creation comes into play is tough to predict. Digital TV gizmos will inevitably find ways to squeeze through the provisions of a 40-year-old statute. Old media can’t sue their way to survival. Traditional broadcasters and content owners seem to appreciate that. Consider Hulu, the streaming service devised by a group of TV networks, or moves by the National Football League to develop internet additions to their lucrative broadcasting contracts. Major League Baseball and the Tennis Channel already offer live streaming. The threats are clearly real. CBS alone added $1.6 billion of market value following the Aereo opinion. A la carte alternatives from Netflix, Amazon and Apple’s iTunes are popular, meaning more new options can’t be far off. The typically stodgy Supreme Court has conveyed a surprisingly modern directive: Stay tuned for more technological TV upheaval. The U.S. Supreme Court on June 25 ruled that online television service Aereo violates copyright law by leasing to viewers tiny antennas that pull broadcasts off the air and stream them over the internet. The justices voted 6-3 that the startup backed by media mogul Barry Diller’s IAC/InterActiveCorp illegally engaged in a public performance of copyrighted content. While casting Aereo’s future in doubt, the ruling represents a victory for broadcast networks owned by CBS, Walt Disney, Comcast and Twenty-First Century Fox, which collectively receive an estimated $3 billion in so-called retransmission fees from cable and satellite TV systems.